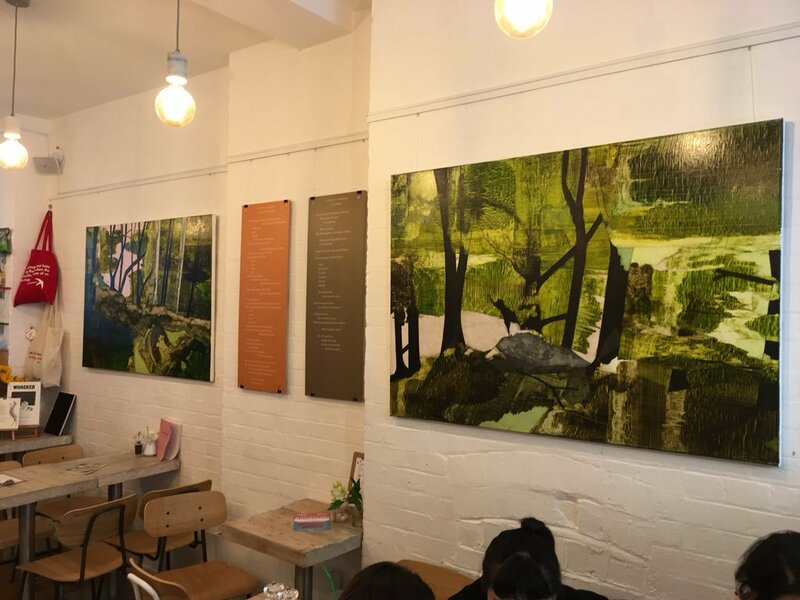 The current painting and poetry exhibition at the Poetry Society draws on Dorothy Wordsworth’s Grasmere Journal. Zoe Benbow (visual artist) and Sarah Corbett (poet) have collaborated on a reverie about women doing local walking in the landscape. The exhibition is about an inner world with inner landscapes. I went to an inspirational workshop on this. We started by alternating between meditation and observation / creation. Meditation draws on the physical: on being in your body, on coming into your body. It’s not about modern moneymaking mindfulness but, rather, making a connection with nature. Which is really what a lot of painting and poetry are all about. 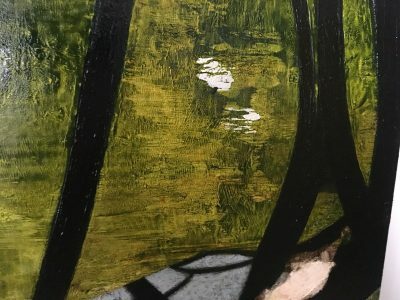 Detail of one of Zoe Benbow’s painting in the 2018 Poetry Society exhibition. We were told to forget logic. And reminded of how shamanic practice shocks you into another place, and thereby alerts you to the ‘regular’ world. We tried writing about a journey which was personally important. 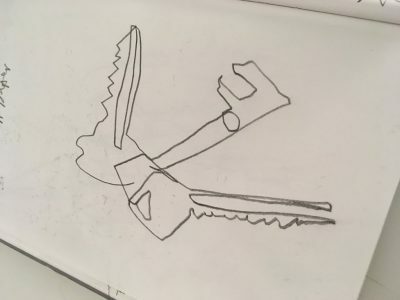 The keys acted as both a point of departure, and somewhere to arrive. Then we tried: writing about a first journey / early memory. I wrote about walking back from school through a beech forest – having been picked up by someone I barely knew. As we walked, I was pleased and excited to feel as though I was being treated as an adult. Eventually, though, we realised that we were both following each other and were lost. The adult who had collected me was trying hard not to panic about losing a child in a forest But now I truly did act as an adult: sensibly and to get us out of this particular situation. Then when we got back to my mother, the ‘adult’ took all the adult-credit. And I let him do that, in a very adult way. Then we all converted our written stories into drawn story maps.